Colombo: India's pace spearhead Ishant Sharma was on Tuesday suspended for one Test match for breaching ICC's Code of Conduct during the third Test match against Sri Lanka, where he got into repeated altercations with opposition players. 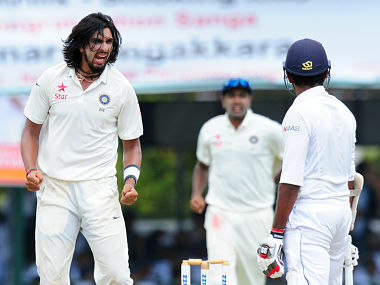 Ishant will consequently miss India's first Test against South Africa at Mohali from 5 November. Sri Lanka's Dinesh Chandimal has been handed a suspension sentence of one ODI for making deliberate physical contact with Ishant while Lahiru Thirimanne and Dhammika Prasad were fined 50 percent of their match fees. "In a separate incident, which happened in the first over of Sri Lanka's second innings, Sharma was handed two Suspension Points for giving a send-off to opener Upul Tharanga", the ICC said in a statement, hours after India clinched a historic Test series win. Ishant Sharma (L). AFP Sharma was charged under Article 2.1.7, which relates to "using language, actions or gestures which disparage or which could provoke an aggressive reaction from a batsman upon his/her dismissal during an International Match". "This was the third time that Sharma been found guilty of giving the dismissed batsman a send-off during this series. Therefore, he has been suspended for his next match and will miss India's first Test against South Africa in Mohali from 5 November," the release stated. Two Suspension Points in the Code equates to a suspension from one Test or two ODIs or two T20Is, to be applied to the subsequent international matches in which the player sanctioned is most likely to participate in. Chandimal has been handed one Suspension Point for breaching Article 2.2.7 of the ICC Code of Conduct, which relates to "inappropriate and deliberate physical contact with a Player". This means Chandimal will miss Sri Lanka's next One-Day International, which will be against the West Indies on November 1 at the R Premadasa Stadium in Colombo. The incident happened in the 76th over when Chandimal made deliberate physical contact with Sharma when India's number-11 batsman was in the middle of a heated exchange with fast bowler Dhammika Prasad. For their roles in the incident, both Thirimanne and Prasad have been fined 50 per cent of their match fees. The two players were charged under Article 2.1.1, which relates to "conduct that is contrary to the spirit of the game". Commenting on his decisions, Andy Pycroft of the Emirates Elite Panel of ICC Match Referees said:" Monday's incidents were not good advertisements for international cricket. These experienced cricketers forgot their fundamental responsibilities of respecting their opponents as well as the umpires, and got involved in incidents which were clearly against the spirit of the game. Their actions cannot be condoned and must be discouraged." "Chandimal was not directly involved in the incident between Prasad and Sharma, but came into the conflict and made deliberate physical contact with Sharma, and had the umpires not intervened, the situation could have escalated. "As regards Sharma, he had been put on notice after being charged twice for send-offs in the previous Test. Any repeat of this action within the next 12 months will potentially see him suspended for a much longer period." "Following the close of play on Tuesday, the four players admitted the offences and accepted the proposed sanctions. 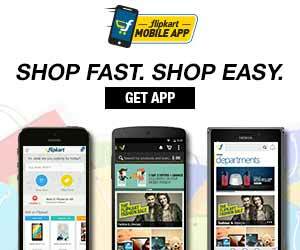 As such, there was no need for formal hearings," the ICC release stated.